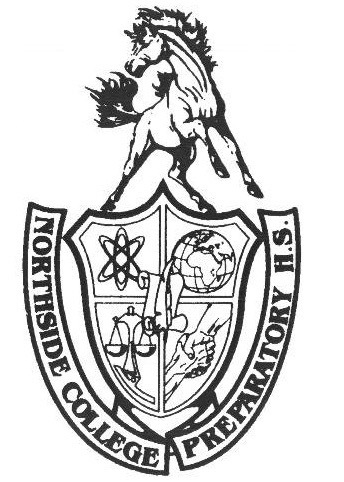 Going into the Nov. 26 game against Lakeview High School at Waveland Bowl, the Northside Women’s Bowling team had high hopes. The team was ranked second in the Gold North division last year, but before the game began, the team reminded each other to stay humble -- this game would be no different than any other. To the girls’ surprise and disappointment, the Lakeview Women’s Bowling Team showed up with only three players, meaning that the game was a forfeit. Rather than waste this opportunity, the team decided to use this as additional experience and play it out like a real game. The final score was 1880 against 915, with Northside coming out on top. Sue Wee, Adv. 900, said “the score didn’t paint the whole picture of how close the actual game was. Factoring in Lakeview only having three players compared to our five, it truly was a fun and exciting match.” In the first set, the Mustangs had four of their five players bowl over 100, highlighted by Sue Wee’s, Adv. 900, score of 158. In comparison, Lakeview had a slow start, with only one of its players bowling over 100. By the end of the first game, the score was 632 against 275 withthe Mustangs coming out on top. Factoring in Lakeview’s lack of players, the score was still 126 to 92 -- the Mustangs remained ahead but the game a lot closer. The second game further demonstrated Northside Women’s Bowling team’s poise and consistency as five of its players bowled over 100 again. Wee and Fiona Collins, Adv. 002, each bowled 143 and 153 respectively. Collins’ score was even more impressive considering that she hit four baggers -- strikes -- in a row. The team had decided to use this game as opportunity to give more of its players game experience since this match would not count towards the team’s record anyways. Andrea Prest, Adv. 010, and Carolyn Beigh, Adv. 007, both had good games coming in as substitutions, with Beigh scoring 138 in the first game and Prest contributing 96. Lakeview had a better second game, scoring a respectable total of 314, an average of 105 from each of its players. The Mustangs had another impressive performance in the third and final game, scoring over 600 for the third time of the day. Collins matched her score from last game, scoring 153, and Wee’s 160 was the highest single game score out of anyone for the day. In regards to her performance, Wee said “Northside women’s bowling has had this history that whenever one of our teammates is having a bad game, another teammate supports them by playing a better game than usual, and that still held for this case. Everyone helped each other out and kept every game average in the same ballpark. I was glad to see everyone still having fun. Our girls were cheering for them and they were cheering for us and we were talking to each other throughout the games. There was a lot of good sportsmanship all around.” Lakeview had its best performance of the game, scoring 326 in the final game. The final score of the game was 1880 against 915, Northside’s average per game per player was 125 compared to 102.